Jin-yup Jung, Minister of Health and Welfare, expressed an opinion that he has no intention of accepting doctor-to-patient telemedicine, which exceeds the current doctor-to-doctor telemedicine allowed under the current Medical Law. He also solidify a determination of reflecting his ‘style’ as a healthcare professional to promote and establish healthcare policies in the future. Minister Jin-yup Jung held the first meeting with the MOHW’s Korean Council for Professional Reporters on about the 100th day as a minister, looked back the last 100 days which he kept himself busy as planning countermeasures for the MERS crisis, understanding the healthcare business and securing the MOHW’s budget and announced future plans about policy directions of the MOHW. 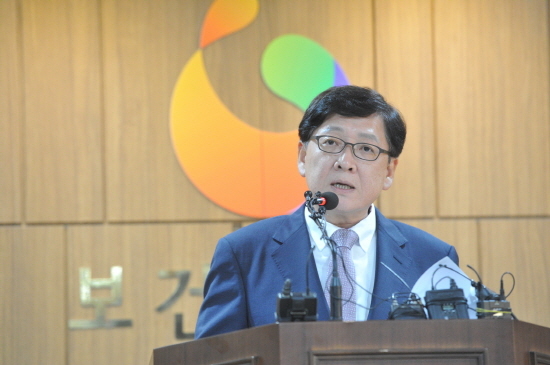 Minister Jung, first of all, emphasized he has no intention to accept doctor-to-patient telemedicine which the healthcare industry worries, and the telemedicine was a method to increase the national patient accessibility to the healthcare service, not to commercialize the medical industry. Then, “I realize the medical field has a huge concern about the medical commercialization; I believe we do not need the medical commercialization in Korea. I have no intention to have the system. I hope the medical industry would not worry about it too much,” he spurned the worry.